The last of this year’s Christmas themed photos takes us NOT to Disneyland, but through the looking glass into Wonderland! 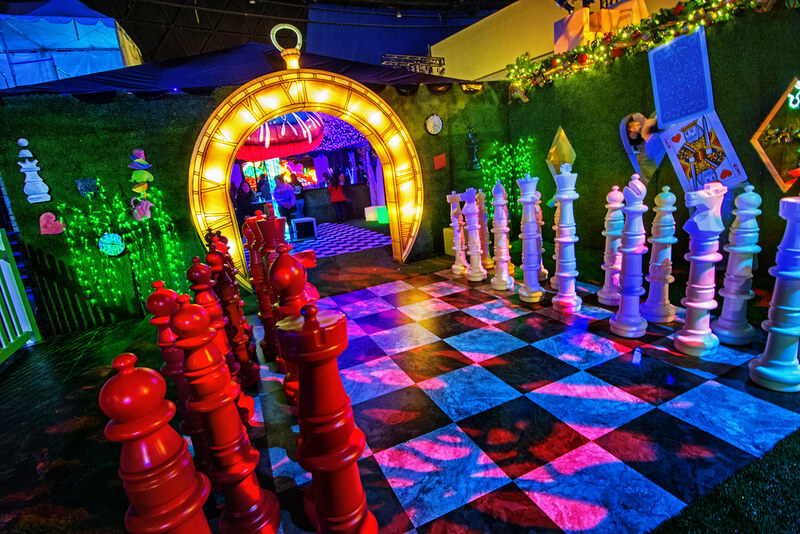 The scene you see here is from “Chill” at the Queen Mary, specifically the entrance to the Magic Mushroom Martini Bar inside their ‘Alice in Winterland’ attraction. For a temporary setup, I found it quite impressively detailed! Now if you’ll excuse me, I’m late for a very important date with a cocktail. This entry was posted in Entertainment, SoCal, Uncategorized and tagged alice in wonderland, bar, Chill, HDR, Long Beach, Queen Mary, SoCal, Winterland. Bookmark the permalink.